Business owners and marketers who use Facebook for advertising may have noticed that there ads become more effective after the first day or two. Most people may choose not to look a gift horse in the mouth, but understanding why this happens is interesting and useful. Facebook has announced they will start showing an ad’s “relevance score” in the ad manager and offered some tips on how to improve it. As one would imagine, Facebook has a large amount of promoted content to display to users, and much of this content is targeted to similar groups. 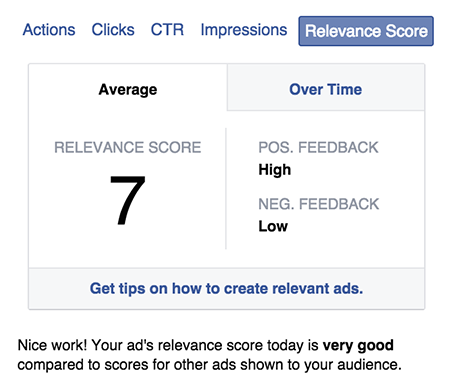 Facebook uses the relevance score to determine which ads to show to which person. As Facebook gets paid more, the more ads get clicked, it’s in their best interest to find the best ads to show to people. The relevance score isn’t determined by a one-time analysis of the ad. After an ad is showed more than 500 times, it begins to receive a daily relevance score from 1–10. One is for an ad with low relevance and 10 is for the best ads with a target audience. The information can be viewed from the Ad Manager and looking at the specific ads. The score is determined by a variety of factors. It considers the number of people who saw the ad and the positive and negative actions taken by those people. The positive actions tracked vary based on the goals of the campaign and the content type. A promoted post likely considers all engagement as positive actions, whereas an ad for page likes probably only counts page likes as positive actions. For negative actions, Facebook tracks the times when people choose to hide an ad. 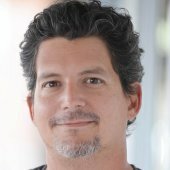 There are multiple benefits to knowing the relevance score of an ad. Knowing the score let’s marketers find what works best with an audience. Marketers can easily see which ads are more relevant to their targets and create similar content. Similarly, marketers can see when an ad is losing relevance and needs to be switched out. To be fair, these things could’ve been ascertained by looking at chances in the cost per click, but the relevance score does make it a little easier to pinpoint. Be specific with targeting – An ad’s relevance score will improve the more a marketer zeros in on their prime target. Consider an ad’s audience when creating content, focusing on imagery and video first. Visual content is what draws the most attention. Written messages should be short and to the point. Refresh an ad when the relevance score starts to decline, because it may be going stale. Remember the law of diminishing returns. All ads will become less effective with time. Test ads with different audiences to see if this improves score. An ad’s low relevance may be due to poor targeting and not the ad itself. Avoid negative, offensive or overly sensational content, it may grab attention, but Facebook says it leads to an overall poorer experience for the audience. Knowing the relevance score for Facebook ads will improve the quality and effectiveness of ads that business use to reach their target audience. Marketers should start using this metric immediately to help them elimate ads that don’t work and create more ads that do. For more information on recent changes to Facebook, read this article on Facebook’s new ad manager app or this article on a new feature to help sell items within Facebook Groups.